Jesus - God or Messenger? A response to orientalist rhetoric concerning Aa'ishah, the wife of Prophet Muhammad (peace be upon him) being married at such a young age. Allah is the creator of the heavens and the earth and all else that exists. 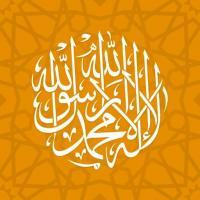 Learn about your creator and why you should submit to his will and accept Islam. “My body is my own business,” The Hijab, Freedom or Oppression? "A Canadian-born Muslim woman has taken to wearing the traditional hijab scarf. It tends to make people see her as either a terrorist or a symbol of oppressed womanhood, but she finds the experience liberating."